Welcome to Snape Car & Van Hire. We are a Car and Van Rental Company located in the village of Snape, next to the village shop. 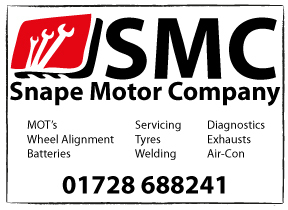 Please use the Snape Motor Company door, we offer a range of cars and vans available for rental. If you require a vehicle then simply give us a ring on 01728 688241 to make a reservation for the day and time you require. Call us if you would like a quotation. We now have even cheaper rate if you wish to hire for 14 days or more. With prior approval our vehicles may be taken abroad, although there are restrictions regarding taking them into some countries. A surcharge will apply when taking a vehicle outside the U.K. Extra charges will be made to provide a Green Card and form VE103.